Join us at our 29th location in Metro Manila: Victory Antipolo! | Victory - Honor God. Make Disciples. Join us at our 29th location in Metro Manila: Victory Antipolo! We are excited to announce the grand launch of our 29th location in Metro Manila, located strategically in the heart of the City in the Sky: Victory Antipolo! 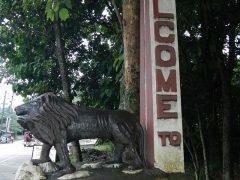 With a history dating back to the late 1500s, Antipolo is the largest city in the Calabarzon region. Because of its high elevation, Antipolo is known for its breathtaking view of Metro Manila, and prizes homegrown delicacies, including cashews and mangoes, that thrive on its high altitude. With a population of more than 700,000, many of whom are future leaders of the nation enrolled in key schools like Our Lady of Fatima University and the government-run University of Rizal System, Antipolo offers many exciting opportunities for people to honor God and make disciples. Led by a church planting team out of Victory Metro East, the Victory center in Antipolo will be located at the third floor of the Antipolo Triangle Mall at the Sumulong Memorial Circle. Strategically located in a busy thoroughfare in the heart of the city, with many restaurants, banks, shops, and service centers in close proximity, Victory Antipolo will offer a convenient venue for many Antipolo residents to worship with us. 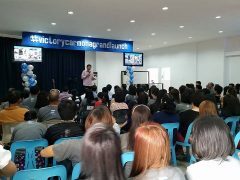 Victory Antipolo’s grand launch is scheduled at our Victory center on August 7, with an initial two services scheduled at 10:00 AM and 4:00 PM. Our first youth service will launch two days earlier, on August 5, also at the Victory center at the Sumulong Memorial Circle. You may already follow Victory Antipolo on Facebook! We would like to invite you to pray with us for open doors and open hearts in Antipolo, so that more disciples and leaders will be established for God’s glory. We also encourage you to bring your family and friends to join us at the grand launch of Victory Antipolo. See you there!